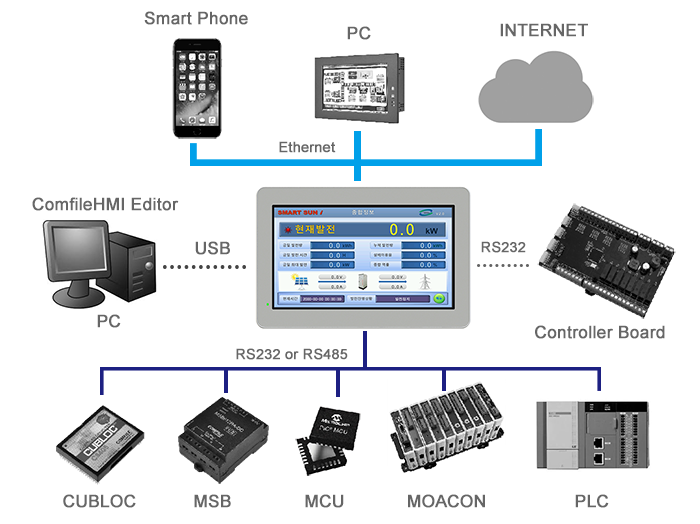 The ComfileHMI can be used to control the CUBLOC, MOACON, FA-DUINO, MODPORT, or just about any other Modbus-capable PLC or microcontroller. The MODPORT is a particularly suitable companion to the ComfileHMI as it does not require any PLC programming. Screen Size 4.3" 7" 7" 10.2"
Click the button below to add the CHA-102WR - 10.2" Water-Resistant Human Machine Interface (HMI) to your wish list.